Rising from the ashes of X-Force comes the X-Statix, America's favorite mutant team! And the only threat to their runaway success is the rival group of flashy new mutants picked by the public! 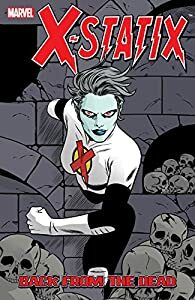 With the world watching, can the X-Statix reclaim their rightful place in the spotlight? 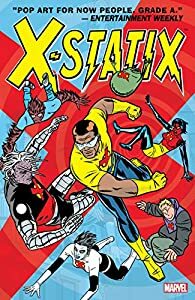 After the mildly disappointing (yet still recommended) "X-Force: The Final Chapter", Milligan and Allred change the name of the team to X-Statix, and add the brilliant Venus De Milo to the cast. The results are a return to form to their highly recommended "X-Force: New Beginnings" TPB. Milligan continues to rewrite standard superteam comics with refreshing imagination and biting satire. The Allreds continue to dazzle with sharp, stylish imagery and vivid colors. I continue to thank whoever put them together in the first place. The writing and art work perfectly together to present this iconoclastic material to maximum impact. 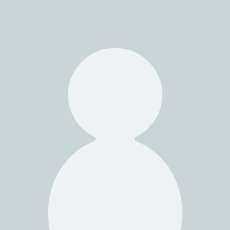 The characters all look great, and behave distinctly, which helps to hold the reader's interest regardless of who is the focal point at any given time. Often when superheroes team up, there's some overlap in characterization. This usually seems to be due in part to a particular writer's lack of differentation between characters, which is often sacrificed in favor of keeping the plot moving. There also tends to be some overlap due to the general behavioral similarity, or inherent heroism of a superteam's members. Milligan takes extra care in creating very distinctive personalities. Of course, this also leads to more conflict than is typically found in a superteam comic. But this conflict also adds tremendously to the power of the work. While each of the five issues presented here form a complete story arc, the work does suffer somewhat when an artist fills in for Allred. Darwyn Cooke's style has worked reasonably well in the past, and is represented in a short section of this book without detracting from the continuity of the story arc. Paul Pope, on the other hand, fails to live up to the almost impossibly lofty standard set by Allred. Pope takes on the final segment of the book, and while the story still moves and has its impact, primarily due to Milligan's admirable skills (although I find myself going back to that storyline and questioning Guy's decisionmaking in respects to his dealing with Arnie), Pope's pencils appear sloppy and even out of sync with Laura Allred's usually fantastic colors. Besides the minor art gripe, "X-Statix: Good Omens" is an outstanding, darkly satirical depiction of super mutants banding together as heroes in a world apparently gone crazy, yet one which may mirror our own even more so than the one traditionally presented in the pages of mainstream comics. I am looking forward to getting the next TPB volume. 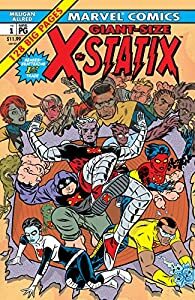 collects x-statix #1-5. story arc focuses on mysterious fan boy, a mutant obsessed with u-go girl and upset over her death. the group has personal tensions (of course) and a rival group called the "o-men". highlights include a "steamy" scene in x-statix's community shower, venus dee milo joins, and a mutant named corkscrew makes his appearance and quickly meets his demise ... at the hands of doop?! Just after changing their name from X-Force to X-Statix, and with the raw wounds of loosing one of their oldest and dearest members, the team finds themselves struggling to find their direction. With O-Force, another band of celebrity mutants formed to steal their thunder, everyone must decide if they even want to be a team anymore. Add to all this a disturbed young mutant named Arnie who had the ability to warp and change reality and a cruel sense of humor and you have an volatile mix waiting to explode. Not only is this Milligan's finest hour, Allred's art is always interesting and fits the mood of the book like a glove. Please do yourself a favor and check this graphic out. While you wouldn't need to read X-Force vol. 1 and/or vol.2 to understand what's going on, it would help. This is an excellent book. i have enjoyed Peter Milligans writing since his pre-Vertigo days and I love Mike Allreds clean simple style of art. The story picks up right where the X-Force series ended and is a heck of a lot of fun. My only gripe with the book is fill-in artist Paul Pope's artwork. He draws worse than a third grader (though not as bad as Duncan Fegredo's fill in issue of X-Force) and the terrible artwork hurts the momentum of the story. 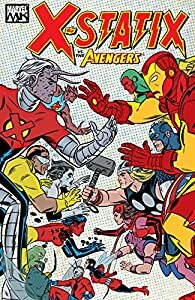 I only wish that Mike Allred could keep up with his deadlines and that Marvel would not subject us to such garbage art. Otherwise, this is a really good book that you should read. 5つ星のうち5.0Absolutely best superhero/mutant series around. THE FACTS: writer: Peter Milligan, artists: Mike Allred, Darwin Cooke, Paul Pope; reprints "X-Statix" # 1-5. MY OPINION: I think it's the best mature superhero series being published yet. First of all, the stories (which seem very non-complicated at the first sight) are really original and make reader read all the book in one sitting. They are focusing on the very important fears touching many people today: fear of dehumanization. 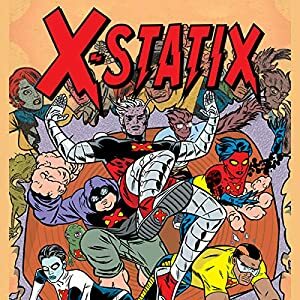 The world in "X-Statix" is turning living persons into objects in the most extreme way of all: it makes them sell their blood, beliefs, souls and finally life...all that for feeling that they have point in their lives (which seems to be lie all along). Young mutants are turning themselves into objects of desires of our society, society which otherwise would hate them. The characterization is great: the chatacters are really believeable. Milligan's drawings are made in the style of pop-art which is perfect for this kind of script. HIGHLY RECOMMENDED !! !